These days students are spending more of their free time playing computer games than ever before. Although there are numerous benefits to playing quality computer games, there are also many known negative effects associated with excessive gaming. Setting a regular routine for your child is essential to make sure that she rips the benefits of digital media without neglecting other sides of her development. Some students get carried away with playing their computer games for excessive amounts of time. Your child’s health might be affected negatively if he plays computer games persistently. His eyesight might get worse because he is constantly staring at the computer. Since your child sits in one position while playing computer games, he may be at risk of gaining extra weight due to lack of daily exercise. Encourage your child to play outside or get other physical fitness so she plays computer games for a limited amount of time. If students are spending too much time playing computer games, they may not be getting enough social interaction at home. Students should have proper communication skills so they can interact with teachers and classmates while at school. Good social skills will help your kid feel healthy and happy at school -- and can possibly boost his interest in school work. Limit the time your child spends on computer games. 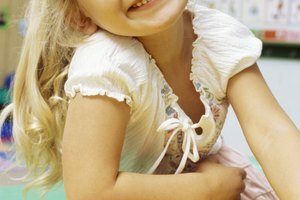 Be interactive; play board games that can boost your child’s social skills. According to All Academic Research, playing computer games may not be all that bad for your children. Peng Wei states that educational games can be effective assisting tools in the educational areas of management, medicine and science. 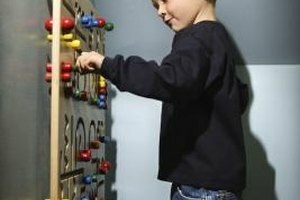 If you choose the right educational computer games, your child may learn better problem-solving skills and eye-hand coordination. Your child may also develop the ability to think fast and think of multiple things all at once. 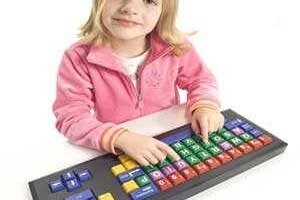 Skills obtained from playing computer games may help your child learn quickly when it comes to his studies. 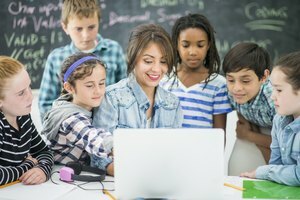 If your child is struggling in one of his school subjects, there are many educational computer games available for him. There are math and reading related games that may help boost your child’s skills. These games can be both fun and educational for your children. To reduce the negative effects of computer games its a good idea to develop a few ground rules around your house. First, have strict time limits for gaming and/or make sure your child does his homework and chores before playing on the computer. Second, place computers in public areas such as the living room. This will allow you to control both the amount and the quality of media they consume. Finally, make sure to model good technology habits yourself. Don't overdo your own screen time, put screens away at mealtimes, prioritize family and outside time, and model putting away all screens for family mealtimes. Based out of Kansas, Holly Smith has been an active writer and reporter since 2003, working primarily in online news. She has written for "Kansas Liberty News" the "K-State Collegian" and worked as an on-air reporter for "Manhattan Matters" and the "Educational Communications Center." She holds Bachelors of Arts in print journalism and electronic journalism from Kansas State University. Smith, Holly. "Bad & Good Effects of Computer Games on Students." Synonym, https://classroom.synonym.com/bad-effects-computer-games-students-7615003.html. 27 June 2018.